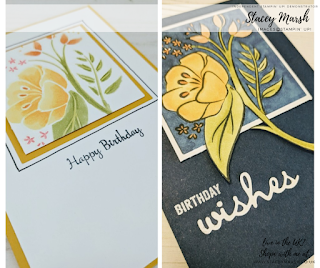 This is the last card from the card class at this weekends Creative Stampin Day and it is lots of fun! 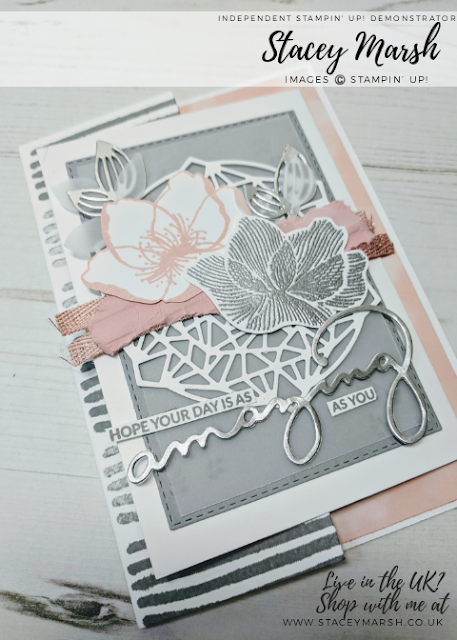 Using the Bloom By Bloom Stamp Set and SEVEN ink pads this card showcases just how gorgeous the images in this set stamp! 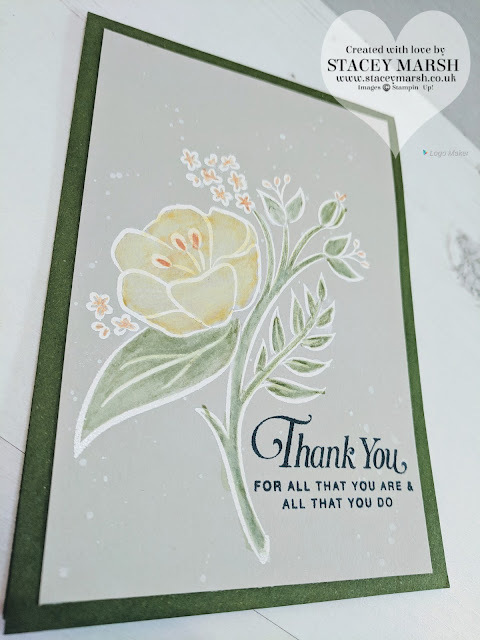 The card base has been cut from Night of Navy Cardstock and a piece of Whisper White that has been cut diagonally in half added to th front. I have added a piece of Call Me Clover Cardstock, lined up so that the diagonal corners are in line with the diagonally cut piece of Whisper White. I have then stamped the Whisper White layer with the varying different images and colours. 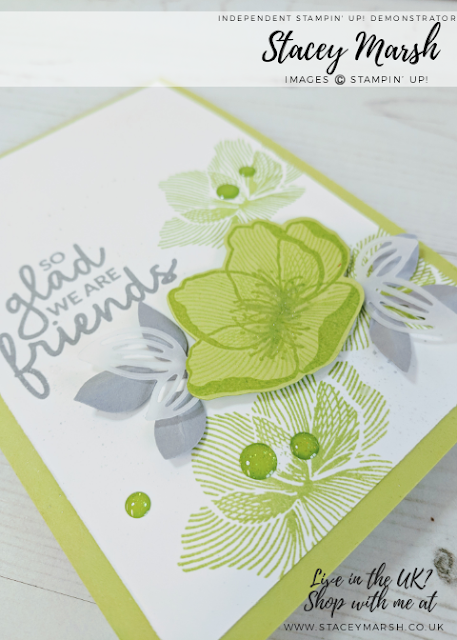 The trick with creating stamping like this is to use the same colour ink pad for each individual stamp! I have added a scalloped circle that has been cut using the Layering Circles Framelits and a 2.5” Circle Punch for the Whisper White piece. 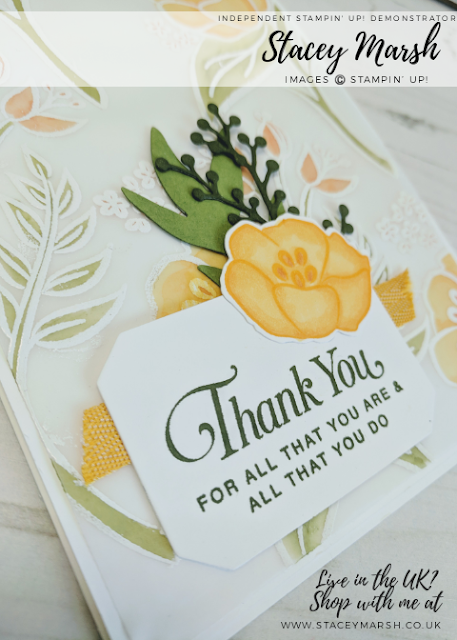 The sentiment comes from the Stitched All Around Stamp Set. The envelope has been stamped in the same design and colour combinations as th front. The inside also matches but I forgot to photograph that part, oops! 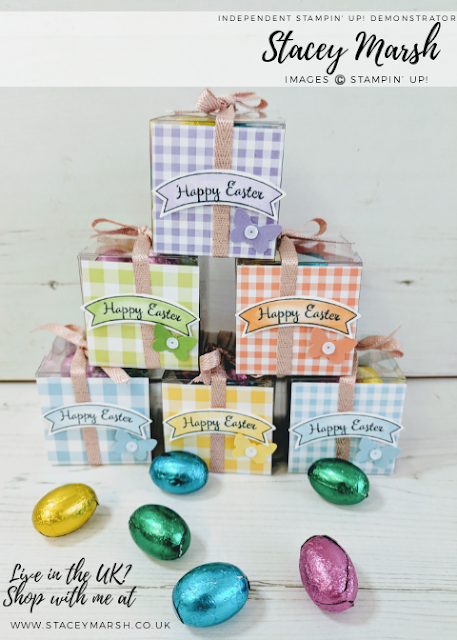 I have added all the cards together so you can see how they all look in a bundle. We also held a class focussing on the Envelope Punch Board where one of th projects made was a box to put the finished cards in!